The highly-anticipated Salesforce Transit Center has unofficially set its opening target date for later this summer, specifically August 12th, and locals are excited for what’s to come. The Transit Center will connect eight Bay Area counties with 11 transportation systems, but that’s not all! Last month, a glass gondola was being tested at the public rooftop space of the building, appropriately named Salesforce Park. Upon its opening, the glass tram will carry groups of up to 20 people from the ground floor to the rooftop park. 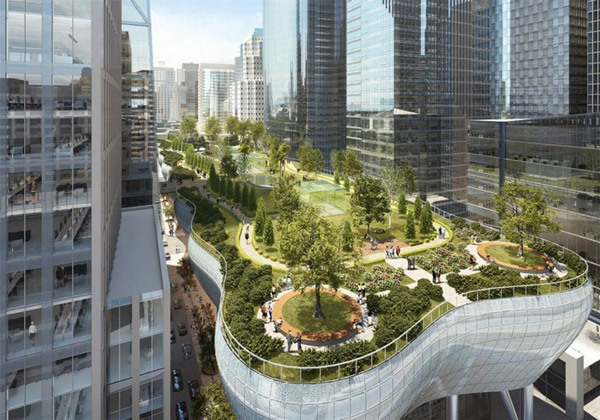 Offering 5.4 landscaped acres replete with an impressive outdoor amphitheater, café, and restaurant, Salesforce Park will be a little green oasis in the middle of downtown for all to enjoy. If transparent transportation isn’t your thing, not to worry – additional elevators and escalators in the transit center lobby will also be available!